Trabalho adicional é necessário e a fabricante está atuando nele, declarou a Administração Federal de Aviação dos EUA (FAA), se referindo a nova versão do software do 737 MAX que lhe será submetida para avaliação. A Boeing havia dito previamente que atualização seria enviada à FAA na semana passada. As modificações estão sendo realizadas no sistema anti-stall, MCAS, apontado como uma das causas do acidente com o 737 MAX 8 da Lion Air (outubro) e também do Ethiopian Airlines em 10 de março último. The FAA expects to receive Boeing's final package of its software enhancement over the coming weeks for FAA approval. 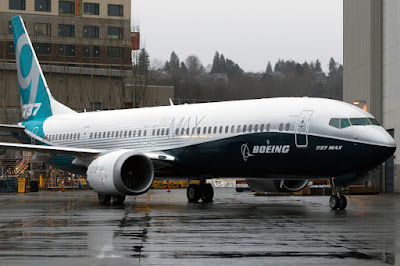 Time is needed for additional work by Boeing as the result of an ongoing review of the 737 MAX Flight Control System to ensure that Boeing has identified and appropriately addressed all pertinent issues. A Boeing confirmou a declaração da FAA, porém não explicou por que o cronograma foi alterado. "Safety is our first priority, and we will take a thorough and methodical approach to the development and testing of the update to ensure we take the time to get it right," the aircraft manufacturer said. A Boeing, por sua vez, reconhece tacitamente uma falha de design e revela um update no software para endereçar a questão. MCAS was originally designed to activate based on data from a single angle-of-attack sensor, which measures the level of the jet's nose relative to oncoming air. Air-safety experts, as well as former employees at Boeing and the supplier that made the sensor, have expressed concern that the system had this single point of failure, a rarity in aviation. In tacit acknowledgment that the initial design was flawed, Boeing this week unveiled a software update that specifically addresses the concerns about MCAS and the sensors. American authorities will have to approve the fix before the planes start flying again. Na semana do acidente, agências reguladoras de todo o mundo determinaram, como num efeito dominó, a suspensão de todos os voos com aeronaves daquele modelo. Ambas as investigações continuam em andamento e nenhuma determinação final foi feita até este domingo (31/3).